MOUNTAIN VIEW — Rocio Carrillo was taken aback last summer when 5-year-old Johnatan asked about the new sign in front of their apartment building. Carrillo didn’t want to tell her son the truth about the placard bearing the official-looking title: “notice of development proposal.” But since she hadn’t prepared a story, she didn’t know what else to do. “I did end up telling him that someone wanted to take our house away,” she said. The result was heartbreaking. Johnatan, whom his family affectionately calls Johnny or Papá, went through a phase where he didn’t want to go to school, because he worried someone would come to his room and take away his toys and clothes while he was gone. 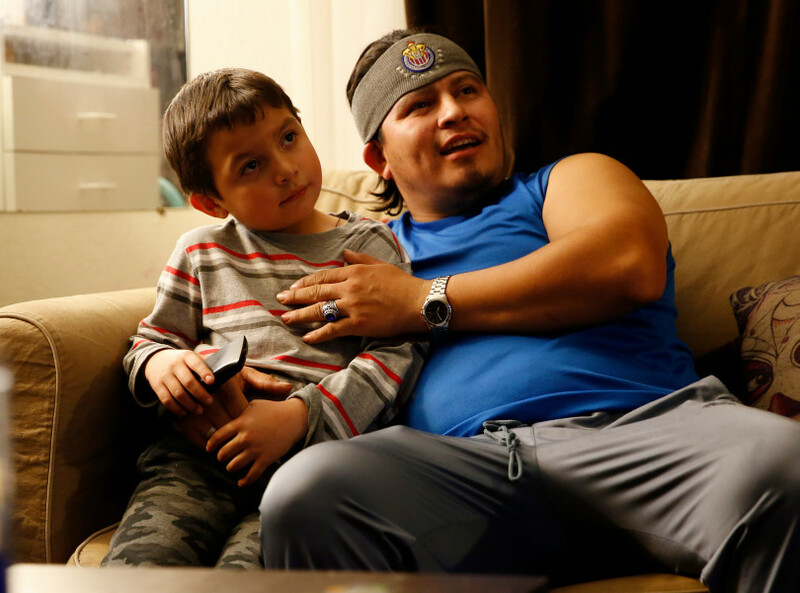 Johnatan’s family is one of roughly 20 that will be forced out of the rent-controlled Royal Viking Apartments next summer if Mountain View’s City Council on Tuesday approves a developer’s plan to raze the nearly 50-year-old, two-story complex and replace it with 15 new town homes. It’s another in a steady stream of proposals to tear down low-cost rental housing in Mountain View and make way for more profitable homes for buyers — and it highlights the clash between affordable and market-rate housing reverberating throughout the Bay Area. In their determination to replenish the region’s shriveled supply of homes available for purchase, Mountain View officials have approved many of the proposals, and as a result have eliminated some of the region’s few remaining affordable enclaves. But this time, something is happening that city leaders say they haven’t seen before — the tenants are fighting back. The mounting controversy is forcing officials to ask hard questions: What kind of city do they want to be? And who should be able to live here? The challenge is so widespread that politicians are seeking state-level solutions. As part of a bill introduced last week that would force cities to allow high-density housing near transit, Sen. Scott Wiener proposed prohibiting developers from demolishing existing rental units to build taller buildings in their place. In Mountain View, just four tenant households received a notice to vacate in 2014 because their building was being redeveloped or remodeled. That number jumped to 350 last year, according to the city. So far this year, 135 households have received such notices. 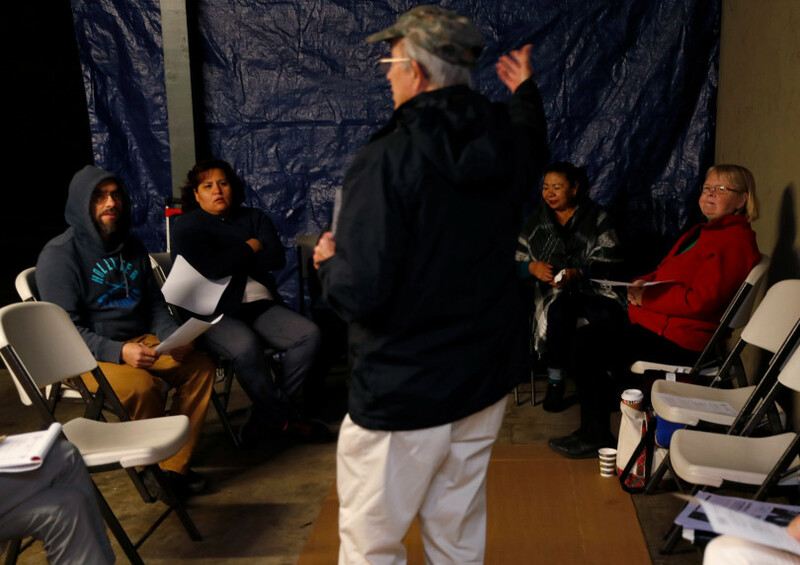 The tenants in Carrillo’s building — who are mostly Latino, pay far-below market rate rent and work as nannies, construction workers, receptionists and nursing assistants — want it to stop. Dubbing themselves the Royal Viking Tenants’ Union, a striking moniker taken from the name of their Rock Street apartment complex, they are meeting with city officials, organizing rallies, passing out fliers and showing up in force to council meetings. Critics argue that new developments like the one proposed to replace the Royal Viking Apartments are bad for the city — they eliminate precious affordable housing, and some even result in a net loss of overall housing units. Replacing Carrillo’s 20-unit apartment complex with 15 townhouses would eliminate five homes from the city’s housing stock. A project proposed down the street by the same developer, Morgan Hill-based Dividend Homes, would replace a 59-unit complex with 55 rowhouses, resulting in a loss of four homes. A few blocks away, another developer has approval to raze 32 rent-controlled apartments and replace them with 31 new rowhouses on North Rengstorff Avenue. Dividend Homes would not comment on its projects. 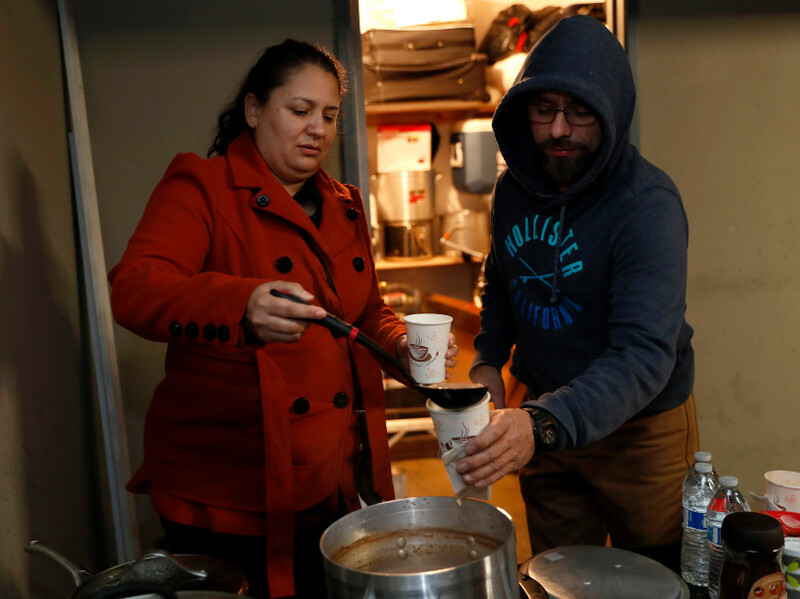 On Rock Street on a recent chilly Tuesday evening, about a dozen Royal Viking residents and their neighbors gathered in a car port, ladled coffee and hot chocolate into paper cups, and discussed strategies for enticing as many people as possible to attend a protest Tuesday at City Hall. Among them was Reyna Dominguez, 49, who’s worried about how much her 11-year-old daughter has been crying lately. The girl recently won a scholarship to the private Woodside Priory school, and fears she won’t be able to attend if her family moves. Neighbor Adriana Tapia Medrano’s chief concern is relocating her elderly mother, who suffers from diabetes and heart problems, and is showing early signs of dementia. Most of the families pay about $2,000 for a two-bedroom apartment, which typically costs $3,395 in Mountain View, according to RentCafe. For at least two tenants, this would be their second time getting evicted from a Mountain View apartment because the owner planned to redevelop their building. Mountain View requires landlords to pay displaced tenants three months of market-rate rent, but only those who make $150,250 or less for a family of four qualify. The tenants’ union is represented by Community Legal Services in East Palo Alto and San Francisco-based law firm Pillsbury Winthrop Shaw Pittman, which recently sent the city council a letter outlining the legal grounds for rejecting Dividend Homes’ proposal. Demolishing affordable rental housing and replacing it with new homes for sale disproportionately impacts racial minorities, and could amount to discrimination under the federal Fair Housing Act, the lawyers wrote. It’s a complicated issue, because Mountain View needs more for-sale housing. Scarcity has driven the median sale price of a home to $1.68 million, according to Zillow — far out of reach for many wannabe buyers. In addition, Mountain View residents voted in 2016 to impose rent control on buildings built before 1995. Some landlords, frustrated they can’t raise rents, are opting to sell or tear down their old buildings and construct something new that’s immune to rent caps, Councilman Ken Rosenberg said. The number of tenant households displaced started to climb before rent control took effect — jumping from four in 2014 to 114 in 2015, according to the city. The solution, Siegel said, is for the city to entice developers to tear down office buildings instead of low-cost apartments, by re-zoning commercial properties as residential. Mountain View has already had some luck with this strategy he said, citing four such proposals for the city’s East Whisman neighborhood. For Carrillo and her neighbors, the need is more immediate. 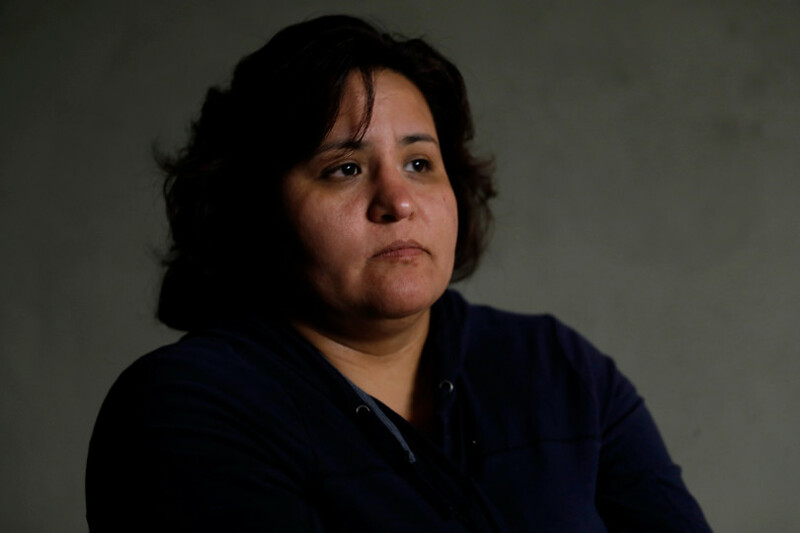 If she’s forced to move next June, 25-year-old Carrillo, who makes $16.50 an hour as a receptionist at an optometrist’s office, likely won’t be able to afford another rental nearby. She, Johnatan and her husband, a construction worker, may end up moving to Oregon.